Mr. Sylvain Roy is a lawyer (Quebec Bar 1993) and business advisor specialized in technology licensing, offering an extensive practical experience of valuation, entrepreneurship and intellectual property brokering. Mr. Roy assists a global clientele on strategic topics related to technology monetization. He advises renowned research institutions such as CERN (European Organization for Nuclear Research) and EPFL (École Polytechnique Fédérale – Lausanne) on validation of market needs for early-stage technologies, and on valuation of scientific projects and inventions. He supports institutional investors during investment due diligence. He also advises startups at the critical phases of product launch, commercial deployment, scale-up, financing and exit. 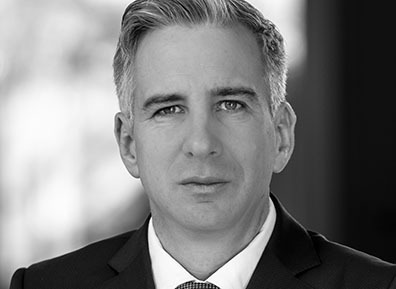 Sylvain Roy is routinely involved in key advising roles during planning, negotiation and execution of corporate and commercial transactions, especially token generating events, cross-border licensing, asset transfer, sales and purchase, investment and M&A. In 1994, Mr. Roy co-founded his first business supported by venture capital (real time robotic control environment and visualization). From 1999, he focused on IP monetization, business law and several operational positions. In 2000-2001 he operated a gaming play from Singapore and Hong Kong. In 2003 he joined a Danish client as general counsel where he helped to transform what was then a niche design firm into one of the most acclaimed manufacturer of professional lighting products. Mr. Roy operated mainly from Geneva until 2013 where he managed High Spin Licensing (HSL), a consulting firm and IP broker specialized in the assessment, incubation and commercialization of new technologies and IP. Under his lead, HSL assessed hundreds of different technologies and business cases. Sylvain Roy offers industry and technical fields experience of software, e/m-commerce, ITC/telecom, imagery including VR, AR, electronics, cleantech & energy, medical devices and natural resources. His speaker roles include talks and workshops on IP monetization at the World Intellectual Property Organization (WIPO), on AI and law at HEC-Montreal, and on IP valuation at CERN.